Using the workspace windows functionality, you can add and switch between multiple windows in a single workspace. After adding a window, you can also rename it, delete it, or set it as your default window. From the menu bar, click the Windows drop-down selector and click +Add window. Enter the name for the window, and click Save. 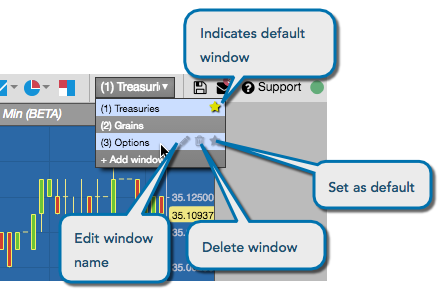 The new window opens and is added to the Windows drop-down selector. Optionally, from the Windows drop-down selector, you can set the default window to open with the workspace, change the name of a window, and delete a window. From the workspace title bar, click the Windows drop-down selector. 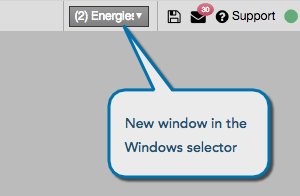 Select the desired window from the Windows drop-down selector. Use the CtrL+window-number keyboard shortcut. 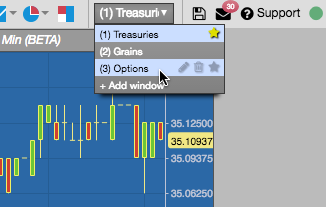 For example, to switch to the Grains window in this case, you would type Ctrl+2. 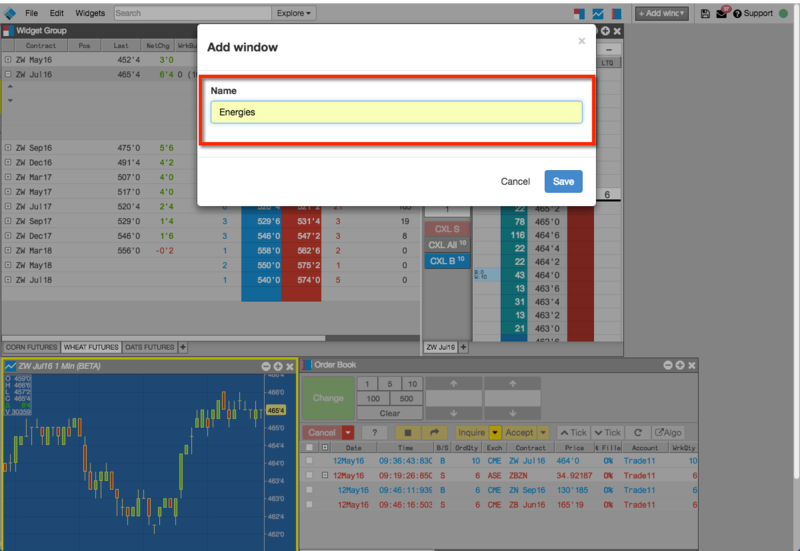 Right-click in the widget's title bar to display its context menu. From the Send to submenu, select the desired target window. Switch to the selected window to see the moved widget.